Bogotá — Indigenous communities in Cauca are now in their 18th day of protest against the government. Using the so-called weapons of the weak, communities have taken over the Panamerican highway in an effort to force the government to meet a series of demands – old and new. Among them, longstanding land-reclamations promised by past governments, real progress on the protection of social leaders, and a renewed effort to implement the peace agreement with the FARC. While many of the petitions from the communities are legitimate, some are also nearly impossible for the government to meet in a reasonable time frame. It’s a real mess. While the government insists on communities ending their blockade of the highway to meet, locals contend that they want President Duque himself to set a date to meet communities before they end their blockade. As time goes on, each side has been reaffirmed by supporters that their position grows in legitimacy. Moreover, politics is now fully embedded in the debate with opponents of the protests contending they have been infiltrated by left-wing groups, while supporters of the communities claim that land-grabbers and special interests support the government. The government’s unyielding attitude and repressive reaction to what, for the most part, are peaceful protests will hurt its image – particularly with members of the opposition whom Duque refuses to meet with. The government’s conundrum is that yielding to pressure from indigenous groups will embolden others to follow suit and mount a protest movement for similarly legitimate complaints – including Afro-Colombians, coca growers, transporters, teachers, victims, and displaced persons. Ultimately presidents must lead and President Duque should demonstrate with actions that he will be the leader for all Colombians, even if they did not vote for him. A great debt is owed to indigenous people who for decades, if not centuries, have been ignored by governments. Indigenous communities have been displaced by the country’s conflict, their lands were taken forcefully from them, and their leaders have been persecuted and killed during the growing vacuum of power in rural areas. Indigenous minorities, who represent less than 3.4% of the 47 million Colombians, have banded together to demand rights and denounce crimes and abuses, with protests that have become frequent in recent years. The communities have used the weapons of the weak that are available to them to call government attention, blockade roads, stage large protests, and yes even temporarily retain people in an effort to demand their rights be met. In an effort to quell past protests, governments and indigenous communities have signed agreements where the government has made commitments to meet the communities most basic needs in terms of health, education, land ownership, employment, and protection. However, the national government – not only the current administration, but all governments – has been unable to hold up their end of the bargain, which has understandably made indigenous communities angry. A key demand in their protest has been for them to meet President Duque, who has refused to meet with indigenous representatives until the blockades end. Duque is right in asserting that he will not negotiate with a gun to his head. That indigenous protests are also harming people who have done nothing wrong in Cali, Popayán, and Pasto who are affected by food and medicine shortages as a result of the protests. He is right to say that if he yields to demands to meet with indigenous groups without reestablishing the rule of law first, he will only encourage copycats from staging protests to then demand the president’s attendance to solve issues envoys would otherwise handle. However, Duque and his supporters have used the protests instead to stigmatize the indigenous movement, vilify their leaders, and accuse the movement of being infiltrated by dissident FARC groups, narcotrafficking organizations, and political opponents. While the government is accusing members of the opposition of staging a political coup to make the government look bad by not giving in to blackmail, it should really consider its endgame. It doesn’t look good that the government shows an unwillingness to compromise or even dialogue with political groups – particularly as it has been desperate to bend over backwards to see that another affected minority is handled with deference and respect in neighboring Venezuela. By stalling the inevitable meeting between indigenous communities and the president, the government is buying time to disincentivize other communities from staging protests – especially from other communities who also complain that commitments made by past governments have not yet been met. When the government said it did not recognize agreements made in the past, it wants to be taken seriously. However, when members of the President’s party were in the opposition they were happy to jump at the chance to politicize the protests and accuse the government of the same inflexibility, repressiveness, and lack of compromise they are being accused of today. It would behoove the government to meet with indigenous leaders, recognize past mistakes and achieve a compromise. Not doing so only adds more pressure to a future protest which will likely become inevitable later on. Originally published in “The Bogotá Post,” on March 29, 2019. 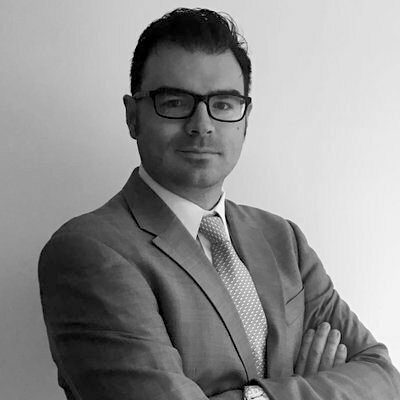 Sergio Guzmán is the Director of Colombia Risk Analysis, a political risk consulting firm based in Bogotá. Follow him on twitter @serguzes and @ColombiaRisk.